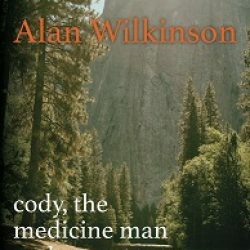 Cody, The Medicine Man & Me is the first novel UEA alumnus Alan Wilkinson and is published by Ouen Press this week. Alan graduated from the MA in Creative Writing UEA in 1989 and has since made a living as a writer, ghosting biographies and writing corporate histories. He has made numerous road trips across the United States, out which came his travelogues Toad’s Road-Kill Café (2012), The Red House On The Niobrara (2014) and There Used To Be A Guy… But He Died (2016).